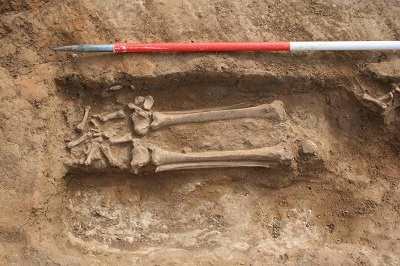 South West Heritage Trust’s community excavation at Burtle Priory revealed the grave of an adult male, which had been partially cut through by a refuse pit at the Dissolution of the Monasteries. Radiocarbon dating has shown that he died sometime between 1049 and 1274 AD. He could therefore be Brother Walter the hermit, who was granted the land at Burtle in 1191 AD, or even his unnamed predecessor. As a routine part of the dating process the bones are also examined to determine the marine content in the diet. This showed that Walt’s diet had a 29% (+/-10%) marine content. The Priory is known to have owned fish traps on the nearby River Brue so they may have been catching migratory fish such as salmon or eels. Fish traps of that date are also known from Bridgwater Bay a few miles to the west. Although only about a quarter of Walt’s body survived the damage during the Dissolution it can be shown that he lived to middle age (36-50 years old), was a bit taller than average (c.5 foot 9 inches or 1.76m) didn’t seem to have suffered from hard work (mainly praying perhaps? ), didn’t have an overly rich diet (as you’d hope with a hermit) but had suffered from Osgood-Schlatter’s disease as a young boy, which would have given him painful knees in his youth. Perhaps he spent too long kneeling in prayer. 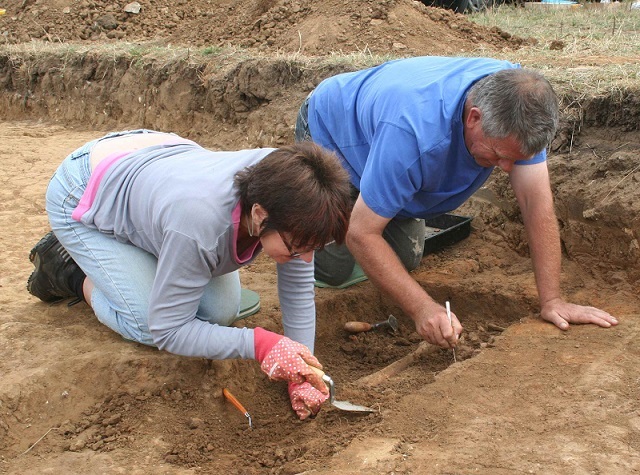 To find out more about South West Heritage Trust’s work within the Avalon Marshes visit the Avalon Archaeology website.